Flowers, 2010s most popular fashion motif, meet vintage flair in this sensational Swarovski crystal-encrusted floral ensemble. Ribbed golden blossoms are gathered together on the front of the delicate chain necklace and on the sides of the large hoop earrings. 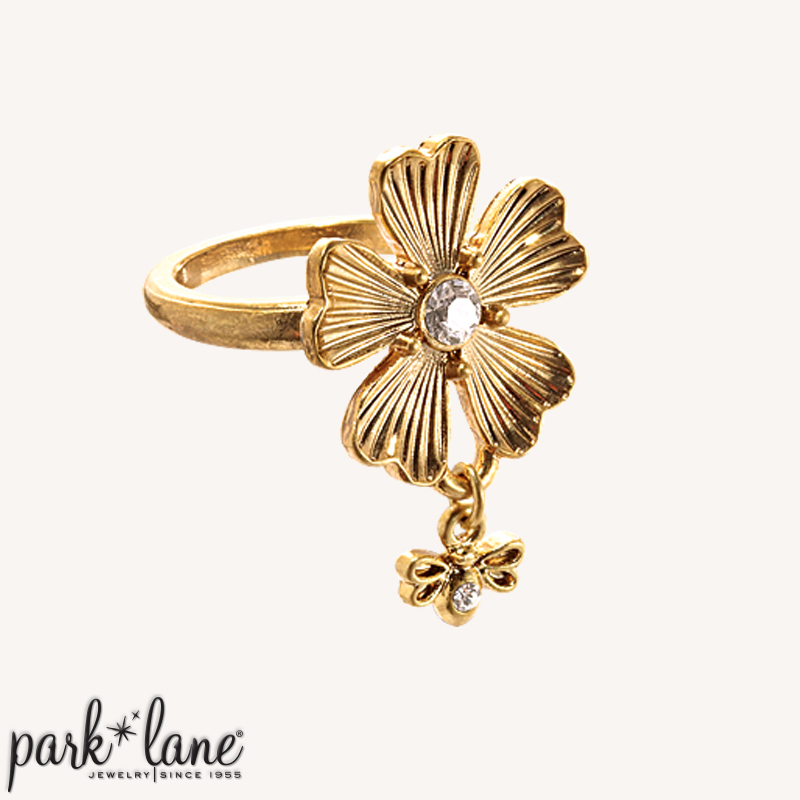 A miniature butterfly charm dangles from the solo flower ring. Wear the butterfly to the front, facing away from you, so it falls just right and gathers the attention it deserves! Necklace is 16 inches long plus a 3-inch extension. Pierced earrings have an integrated post clasp. Ring is available in sizes 5-9.